Celiac disease is a serious condition wherein your body attacks itself each time you eat something that contains gluten. It can deteriorate the villi in your small intestine, which will make it harder for you to absorb nutrients. Thus, people with this condition are usually malnourished and look emaciated. Please note that this condition is particularly difficult because most of us have no time to cook at home and thus, we opt to eat out instead. When you have celiac disease, you need to be extra careful. Therefore, eating out can be tricky. Anyone with this condition will tell you how severe a reaction to gluten can be. Thus, making certain that one’s meal has no gluten is a must. To start, gluten is in almost all forms of carbohydrates. This is a protein composite that is found in wheat and other related grains. This includes barley and rye. If you wonder why dough it is elastic, you should know that it is all thanks to gluten. This also gives it a chewy texture. As you can see, most of what we eat contains this protein composite. This is why people with gluten intolerance find it hard to eat out without encountering it. Luckily, more restaurants are coming up with gluten-free menus to accommodate customers who have this condition. There are more than 300 symptoms of celiac disease. However, here are the most common ones. To start, a person with gluten sensitivity will experience abdominal pain, diarrhea, depression, irritability, itchy skin rash, poor growth, constipation, numbness or tingling, tooth discoloration, joint pain, fatigue, mouth sores, infertility and bloating or gas. Please note that most people do not experience all the symptoms. However, one or three will manifest. Keep in mind that in some people who still have healthy intestinal villi may not develop any symptoms. Most people who have this condition will experience the effects later in life. Only a few exhibit the symptoms in early life. This is why it is so hard to pinpoint if a person has this disease based on symptoms alone. People who have this disease and fail to get treatment are prone to thyroid problems, cancer, osteoporosis and other autoimmune diseases. Once again, please note that the symptoms will vary among different people. Celiac disease can be spotted with the help of lab tests. Most parents are encouraged to have their children tested for this condition when they are young, as there are cases wherein a person was gluten intolerant but did not exhibit any symptoms. Some parents just think their children are naturally skinny, without bothering to consider if he or she is gluten intolerant. This will prevent malnutrition and improve his or her growth and development. Celiac disease can cause malnutrition and anemia, which are serious conditions, especially with regard to young patients. Therefore, the earlier it is spotted, the easier it is to ensure the health of the child’s remaining villi. It is hard to east out with friends when you have this condition. A person with celiac disease will tell you that he or she has been lied to at least once. When you ask if they have a gluten-free menu, most servers just think that you are a picky eater and do not realize that your condition does not allow you to indulge in anything with gluten. You would think that Romano’s, a business that is known for their delicious carbohydrate goodness would become gluten conscious. You will be surprised to know that they have, and you get to enjoy it while you eat with your gluten-tolerant friends and family. This makes eating out so much easier. While they do not drop all their food choices that contain gluten, Romano’s Macaroni Grill has come up with a menu specifically for people who want to avoid this substance. You can enjoy a wide variety of tapas, antipasti, soups, salads, dressings, pasta, sides and various offerings that do not contain the dreaded gluten. They even have desserts that allow you to indulge without any cause for concern. Their dark chocolate gelato is perfection, and gluten-free as well. Eating out when you have either asymptomatic or symptomatic gluten sensitivity is hard at first. However, when you can find a restaurant chain that offers gluten-free meals, you will want to venture out and try their dishes. Romano’s macaroni Grill should be commended for offering such wide varieties to cater to people who suffer from this condition. 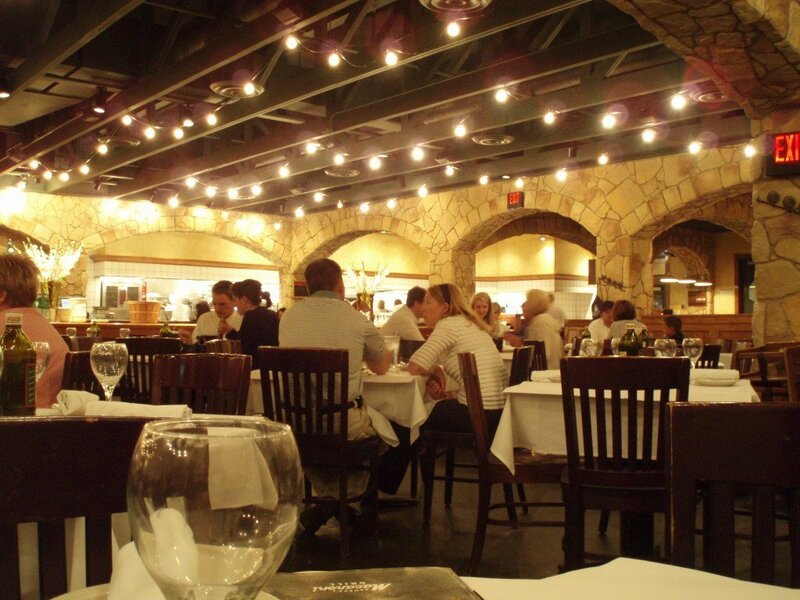 Enjoy a filling meal at Romano’s Macaroni Grill without worrying about your condition. Given the wide range of meal choices to choose from, you can savor a delectable appetizer or entree without having to release any celiac disease triggers. Gluten-free goodness is yours at everyone’s favorite Italian restaurant.